Maybe that describes you, and it’s exactly the kind of question you’ve been wondering. Or maybe you’ve been looking at learning management systems, didn’t know about these kind of software integrations, but now that it’s come up, you’re definitely interested to learn more. Well, the short answer is that yes, a learning management system CAN be set up so it’s integrated with the software applications at your workplace. And we’ll tell you a little more about that below. Convergence Training are workforce training experts. Click the links below to learn more about how we can help you. As we mentioned at the top, having your LMS integrate with other software applications at work is possible (and is often done). One of the ways these integrations are handled is with with an application program interface (API). You’ll hear that acronym tossed around a bunch in these kind of discussions. There are alternatives to setting up an API for software integrations as well. For example, data can be downloaded from one software program to a flat file and then uploaded into the other software application. These different approaches to software integrations each have their own advantages and disadvantages, and it’s worth talking about it in more detail with your LMS provider (or the LMS providers you’re thinking of partnering with). But the take-away for you to know at this point of the article is that yes, you can integrate your learning management system (LMS) with other software programs at work, and in fact it’s pretty simple. What Software Programs Can You Integrate with Your Learning Management System at Work? Well, I’m not a computer expert, but I think the answer is: you name it, and someone can integrate it. After all, those computer programmers are pretty sharp, right? Great–But WHY Would I Want to Integrate My LMS with Other Workplace Software Programs? The short answer here is that at work, silos are bad (if common) and communication and the free flow of information and intelligence is good (if sometimes too rare). That’s true with people and it’s true with our information and software programs as well. But let’s put that answer into more of a learning and training context, taking a look at a few common examples below. Single sign-on (SSO): Single sign-on allows your workers to sign into the network at work when they get to their computer and, as a result of simply signing on to the network, to also be signed into a number of other software programs at work. That means the employees don’t have to spend a bunch of time each day logging into and out of multiple programs, it means they don’t have to worry about remembering (and inevitably forgetting) multiple user names and passwords for those programs, and it means you won’t have to spend half your day helping people log into the LMS because they don’t know their password. Victories all around, no? HR software programs (HRIS): Integrating your LMS with the HR system at work can help you with a lot of things. Your LMS can automatically create a user record for a newly hired employee after he/she is entered into the HR software program, and in some cases the LMS will even automatically assign training (such as new employee onboarding training) to that new hire. Likewise, the integration between the HRIS system and the LMS can make sure the LMS knows when people have changed job roles, work areas, or locations/sites and modify training assignments to match those changes as well. And, maybe not as exciting but will important, this kind of integration can help you keep track of employees who have changed their names (marriage, divorce, personal whim, etc.). Enterprise resource planning (ERP) software: Integrating your ERP and your LMS can help you ensure that people in specific job roles (or performing specific job tasks) have appropriate training. Learning record stores (LRS): An LRS is very similar to an LMS, but it’s meant to receive data about training completion incorporating the Experience API (xAPI). It’s handy to have an LRS that communicates with your LMS. SharePoint: Many companies have lots of their training materials (or other important files) stored on SharePoint. 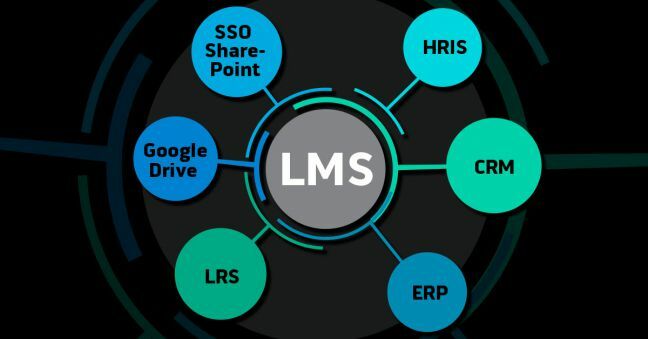 Understandably, when they get an LMS, they don’t want to take everything out of SharePoint and load it all up into the LMS. Instead, they’d like to “point” the LMS to those SharePoint files. Google Drive, Dropbox, iCloud, etc: The same argument that applies for SharePoint applies here as well. Occupational safety/health incident tracking software: Using online software to report, track, and correct occupational incidents is handy, and it’s even nicer to have that integrated with the same LMS you use for managing your safety training program–especially if your corrective action involves a safety training assignment or if you’d like to do some data analytics and look for connections between accidents and training. eCommerce software: Not every company is interested in monetizing their training courses, but some are, and in those cases, you’re going to want to integrate the LMS with some eCommerce software. We hope you found this a helpful introduction to the concept of integrating your LMS with other software programs at the workplace. As we mentioned, there are various ways to do this, and that includes using an API or using different alternatives, such as a flat file or even just linking (as is true for SharePoint, Dropbox, etc. ), and you might want to do this with various kinds of software programs at work (HRIS, CRM, ERP, etc.). 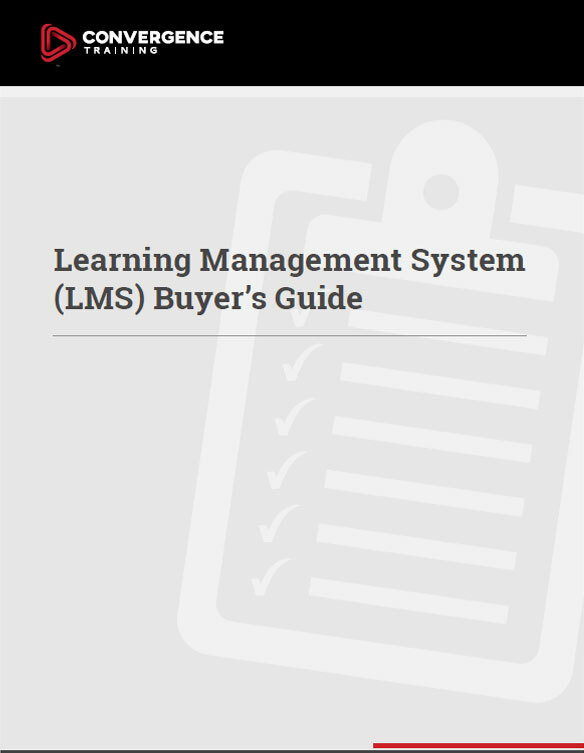 Let us know if you’ve got any further questions on this and please download our free Learning Management System Buyer’s Guide before you go. Learn what you need to know BEFORE you begin your search and get a free checklist to guide you, too.